Wofo Temple is located about 20 kilometres from the city and is a stunning Buddhist temple. Built in the Tang dynasty and has a history of about 1300 years. One of the most important things to see in the temple is the bronze recumbent Buddha, which is the reason for the name of the temple. Four Heavenly King's Hall, Three Buddhas Hall and the Recumbent Buddha's Hall are the main four buildings in the destination. 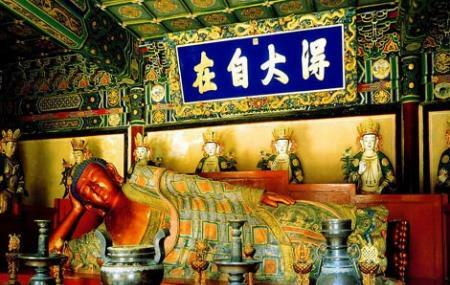 The Recumbent Buddha's Hall is the most important hall in the temple so visiting it is a must. Also, visit the popular attractions in the city by following Beijing itinerary 7 days.